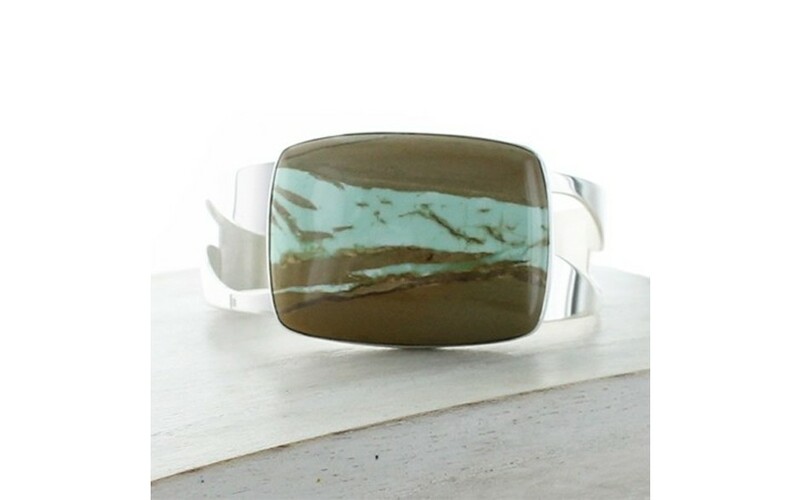 A rectangle shape of boulder variscite is cut to display the unique appearance of this stone. 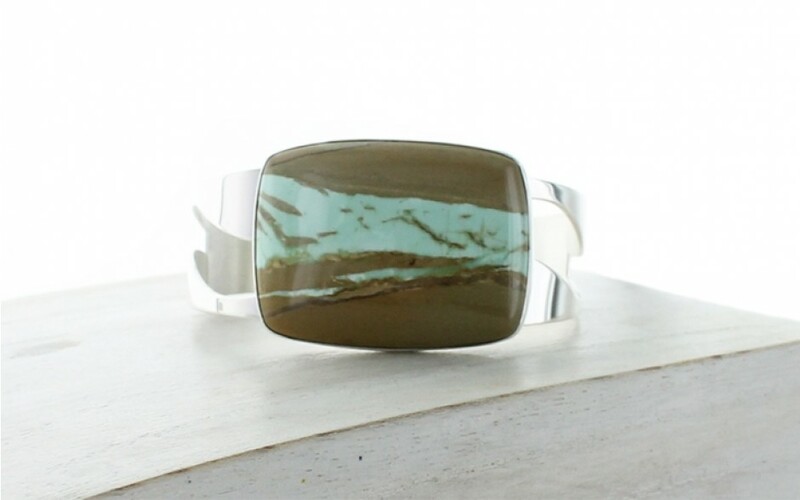 A band of mint green variscite is surrounded by the brown host rock for an amazing color combination. 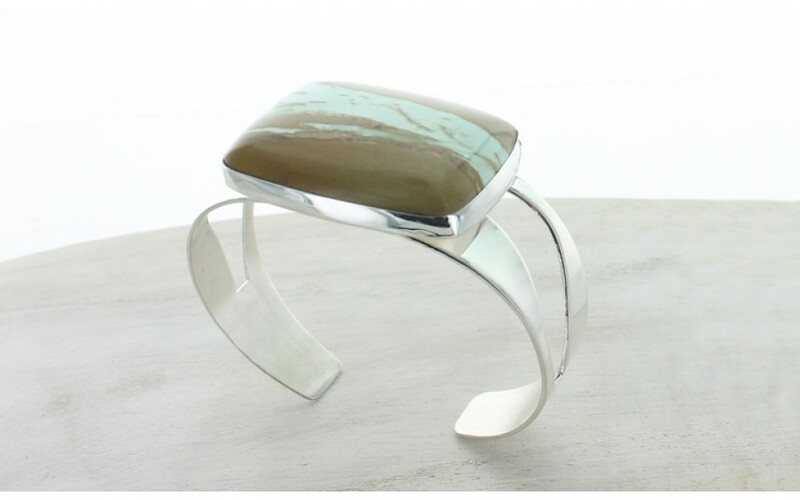 The stone is bezel set and sits atop a sterling silver split shank. 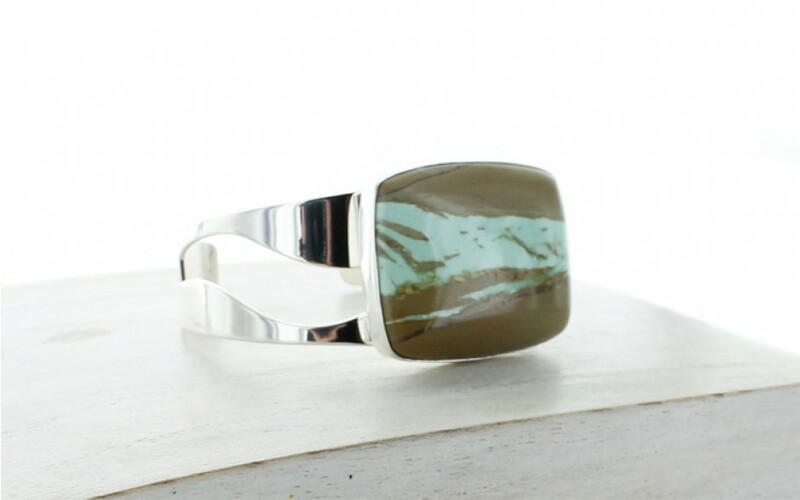 The stone measures 30mm x 40mm. 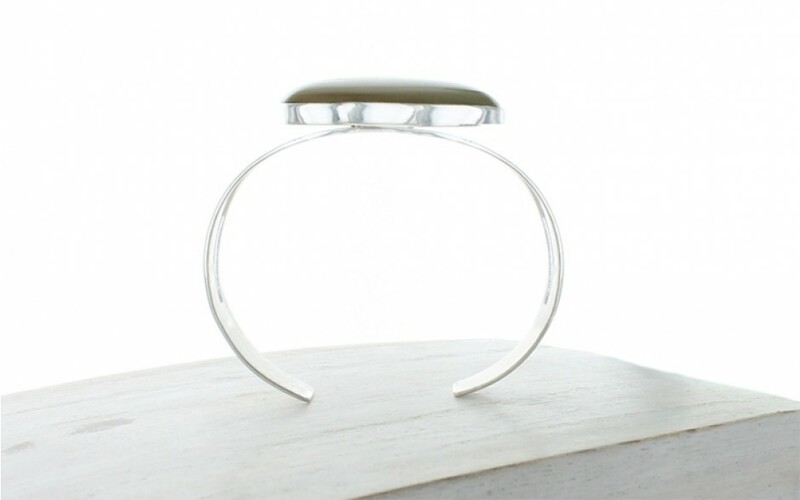 The cuff length is 7" long by 1 1/4" wide.